This year’s roundup of the best websites for Foodies is here. Many will be familiar, while others might not be as well-known to you. They all offer different great information. 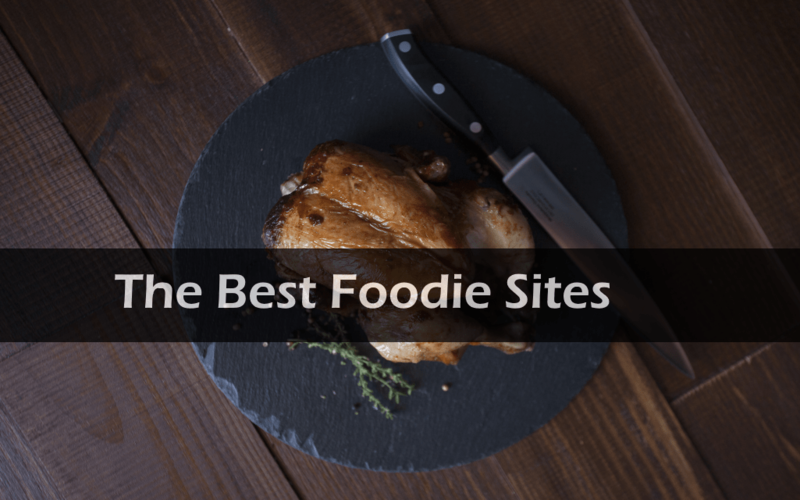 Whether you’re a restaurant owner looking for some restaurant equipment, a foodie about to hit a new city, or a man looking for recipes for his dinner party next week, these sites will do the trick. If you follow geek culture at all, you already know that Tumblr is the place to be for updates on your Doctor Who, cats in costumes, Magic the Gathering, and Star Trek fangirl lifestyle. But did you know that Tumblr is one of the best places to find awesome recipes, restaurant suggestions, and other food related topics? You’ve probably been using Yelp for years. But if you haven’t been, you should definitely start now. Yelp is one of the top places to find real reviews from real people on restaurants, grocery stores, and other food-related venues and companies. For any foodie who’s on a vegan or other plant-based diet, Veg News is the place to look. Here you’ll find recipes, vegan-friendly cleaning products, travel news, and pretty much everything else plant-based. One of the best offerings from Veg News is the vegan guides to various cities, like Las Vegas and Ireland, that lead you to the hottest plant-based restaurants and adventures in the area. The number one recipes website available, All Recipes really does carry pretty much every recipe that’s ever been published. From Grandma Ople’s Apple Pie to branded recipes, like Eagle Brand Chocolate Fondue, you’ll seriously find just about anything available on All Recipes. You can also search by ingredients on the site. Also ranked as one of the absolute top recipe sites around, Epicurious offers more recipes than someone could use in a lifetime, along with expert advice about food topics, kitchen tools, and more. The Food Network site is supposed to have a similar feel to the channel you watch. They offer recipes, tips for the home, and ways to use your love of food to demonstrate your love to others. One of the easiest foodie websites to navigate is Chowhound. Just look at the tabs at the top of the page and find the topics you’re interested in, whether that’s restaurants in a city you’ll be visiting soon, or tips on how to clean clams before cooking them. Now, if you’re looking more for ideas on kitchen design and tips on brands, you might want to check out Houzz. This site offers tons of photos of kitchen design ideas, and the information on the companies supplying commercial refrigerators, labor, and more.